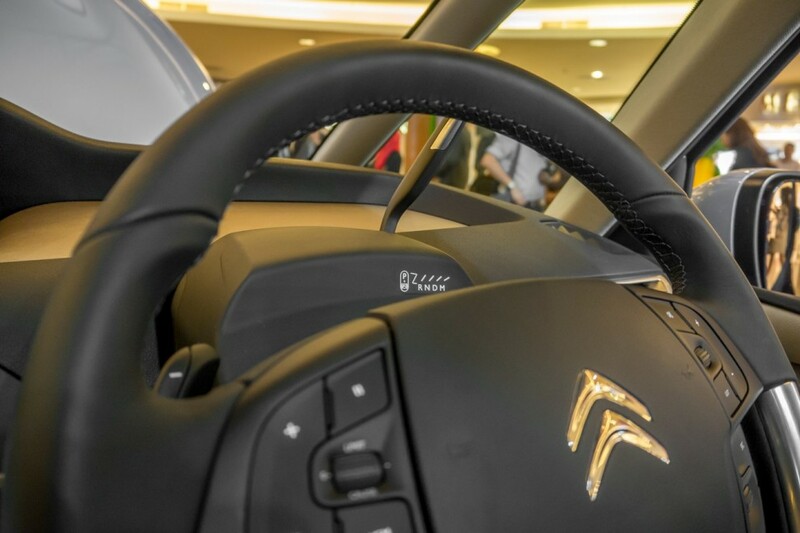 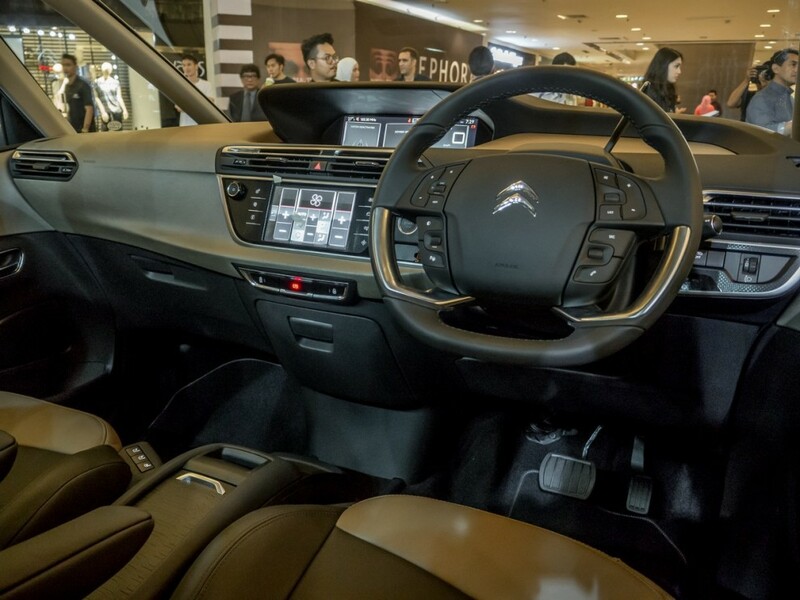 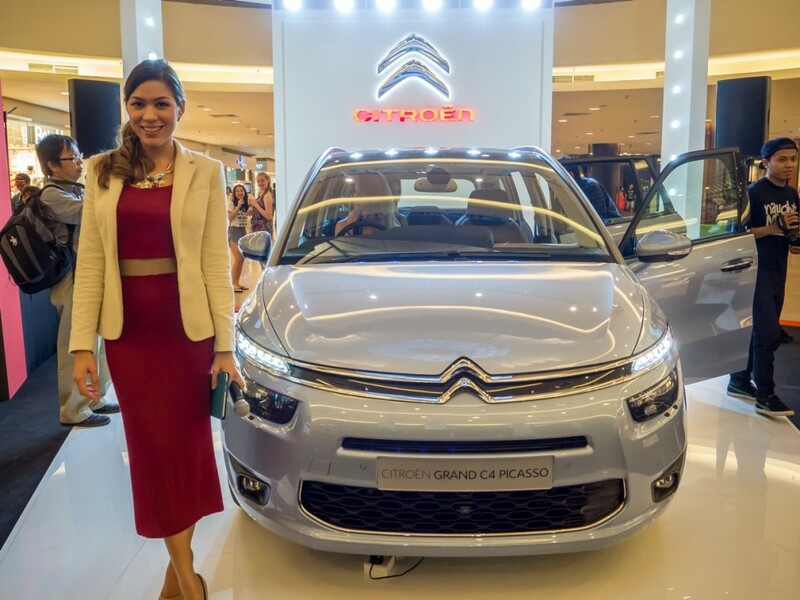 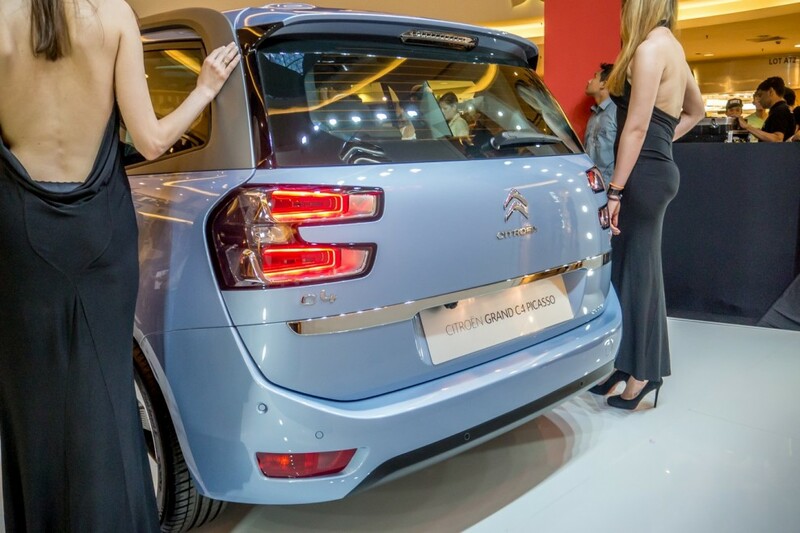 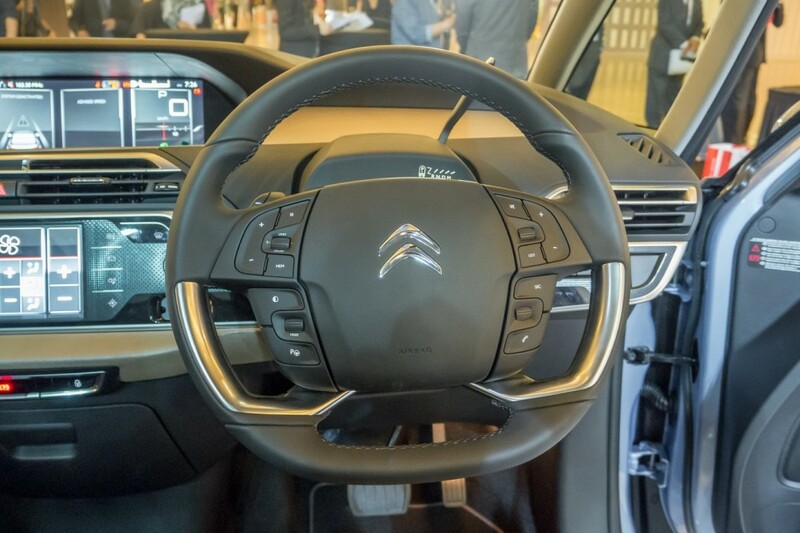 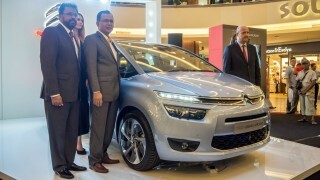 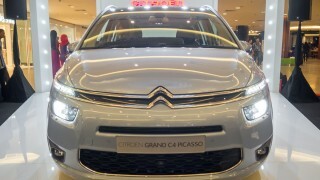 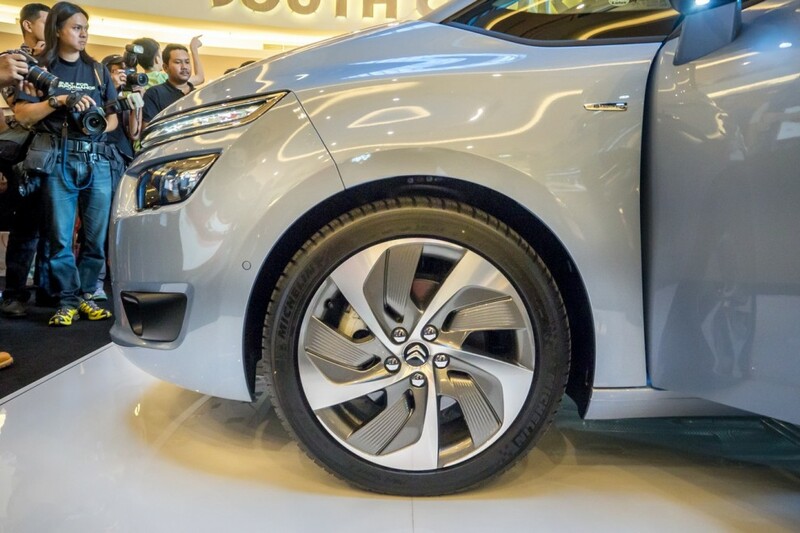 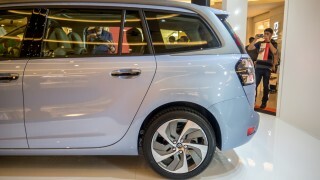 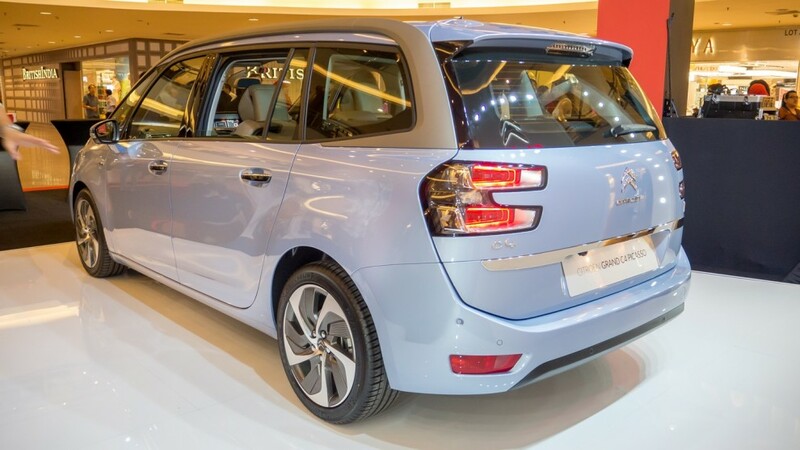 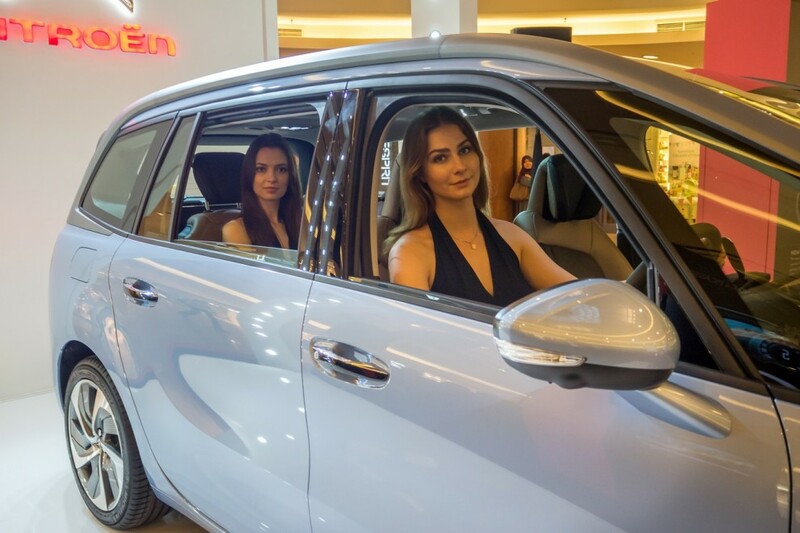 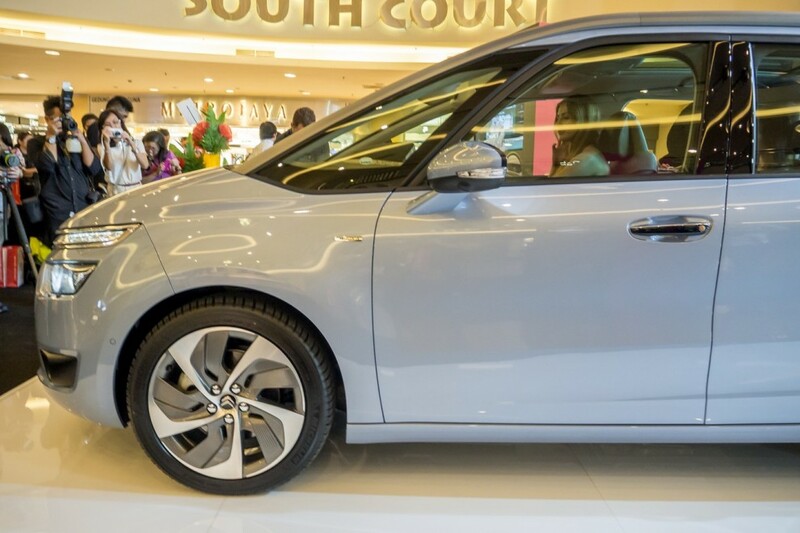 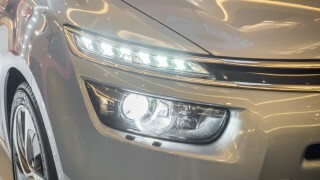 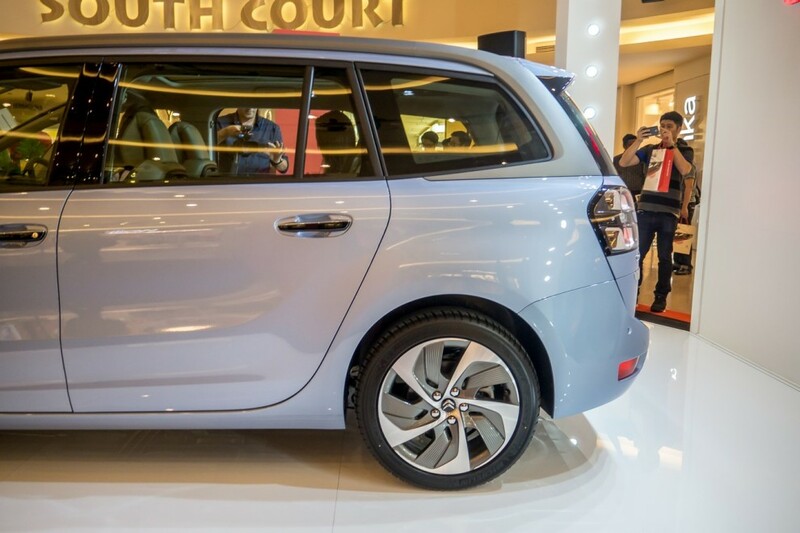 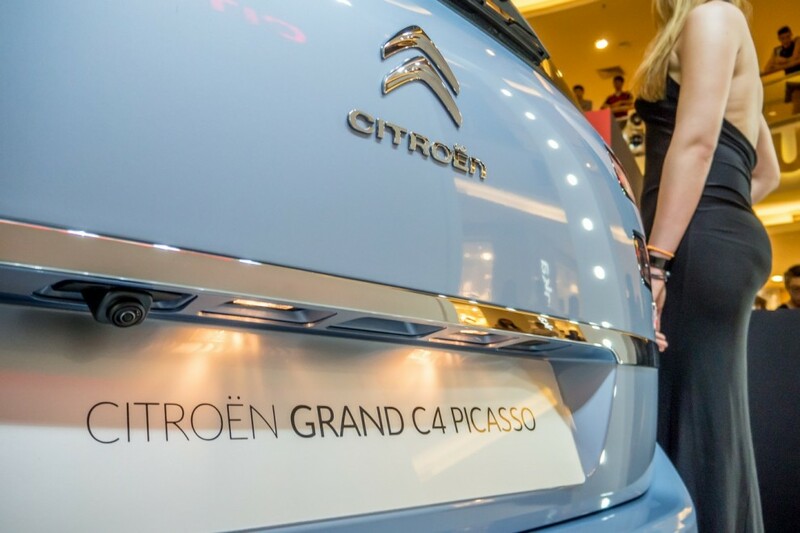 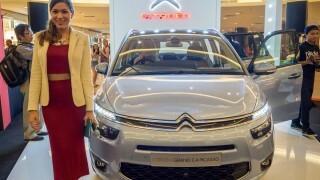 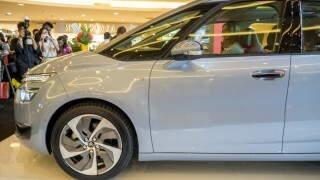 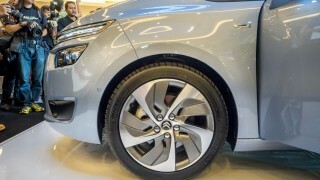 Citroen, through Naza Euro Motors have introduced the petrol variant of the Grand C4 Picasso THP163 and is priced at RM179,888 including insurance and GST. 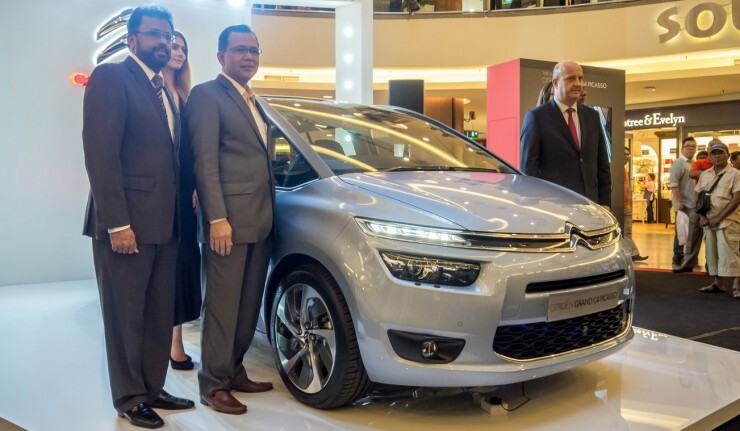 It costs RM10,000 lesser than the oil burning 2.0-litre BlueHDi engine, one that was going for RM189,888 when it was launched last year. 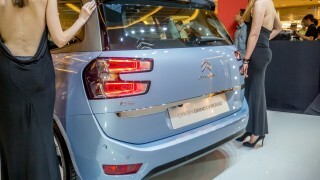 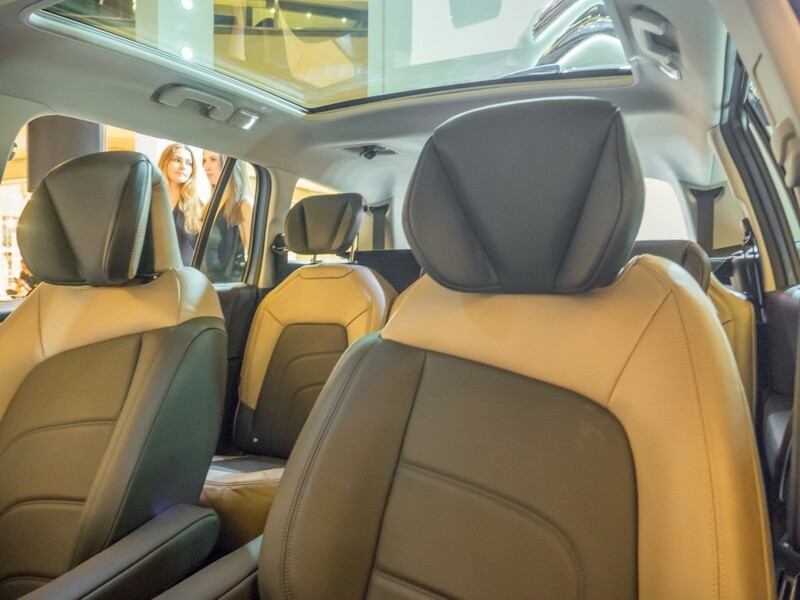 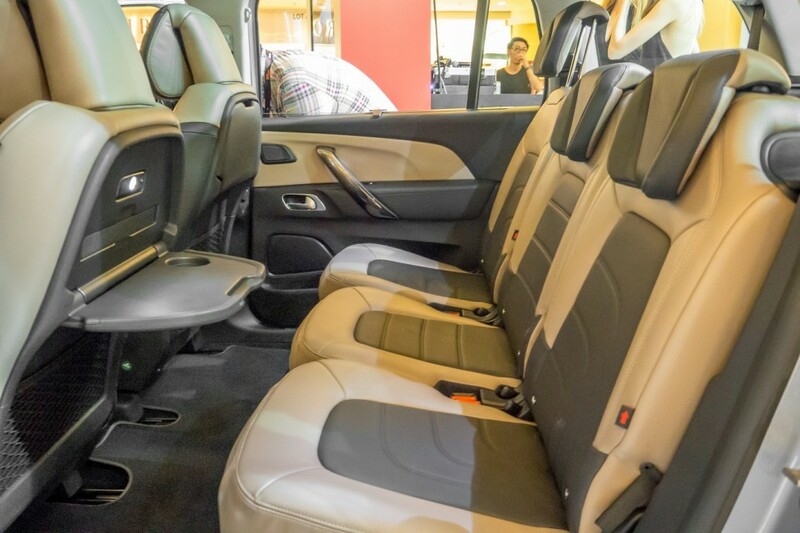 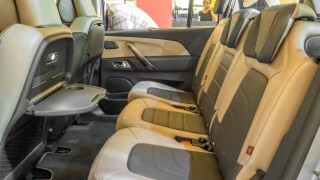 This seven-seater French MPV sits on the brand’s new EMP2 modular platform (underpinning the new 308 THP as well), and has a wheelbase of 2,840mm, an overall length of 4,597mm, is 1,826mm wide and 1,625mm tall. 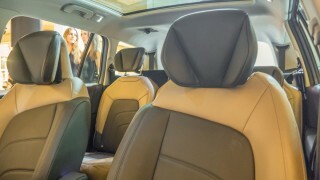 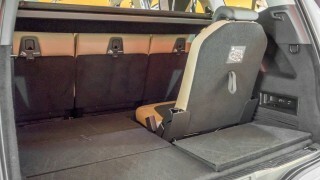 It looks visually identical from the outside when compared to the diesel variant, but new here is the panoramic sunroof – a standard feature that was not available on the diesel. 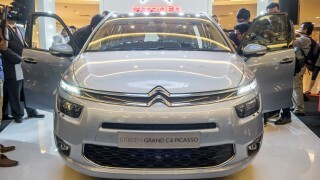 There’s no denying the uniqueness of how this one looks, and it’s almost impossible to mistake this for something else when seen in real life or on the road. 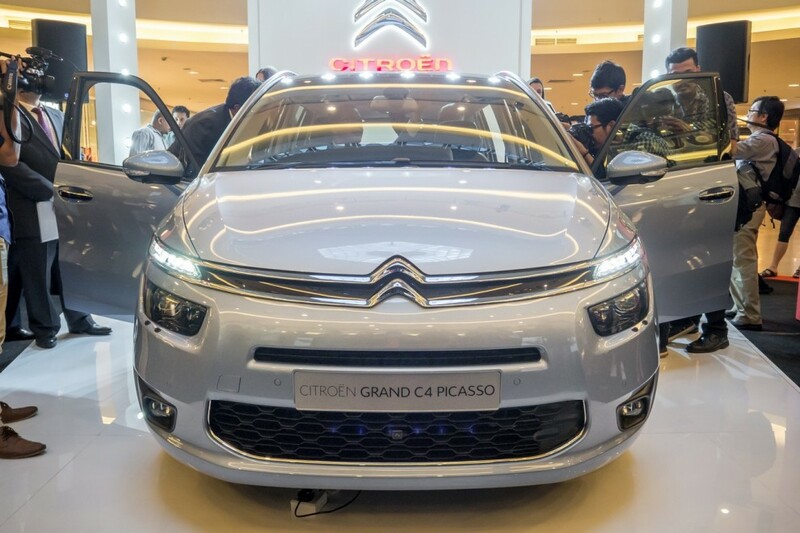 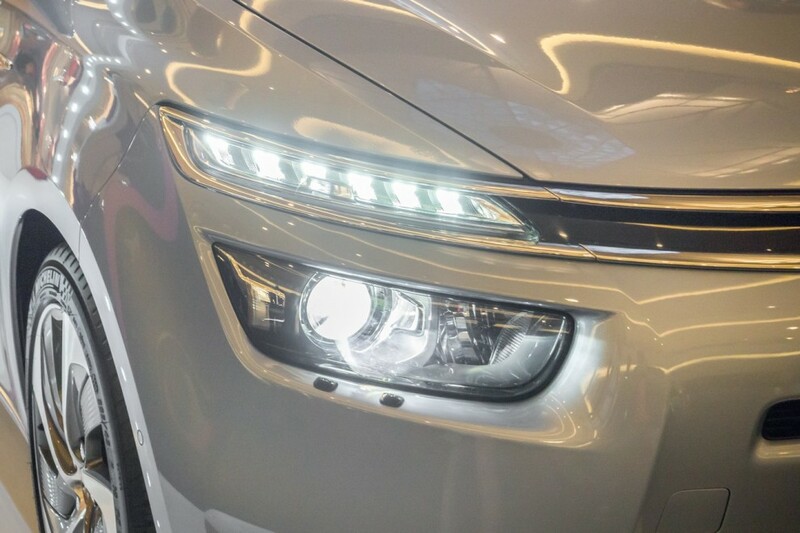 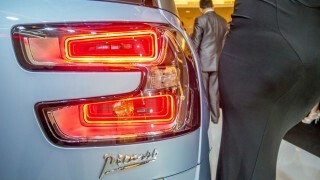 The front fascia carries the brand’s distinctive look, finished with HID headlamps, LED daytime running lights, three-dimensional tail lamps (like the DS3), 18-inch python alloy wheels and Zenith windscreen. 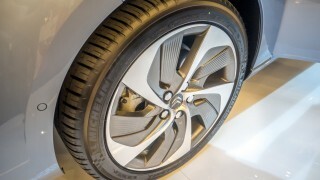 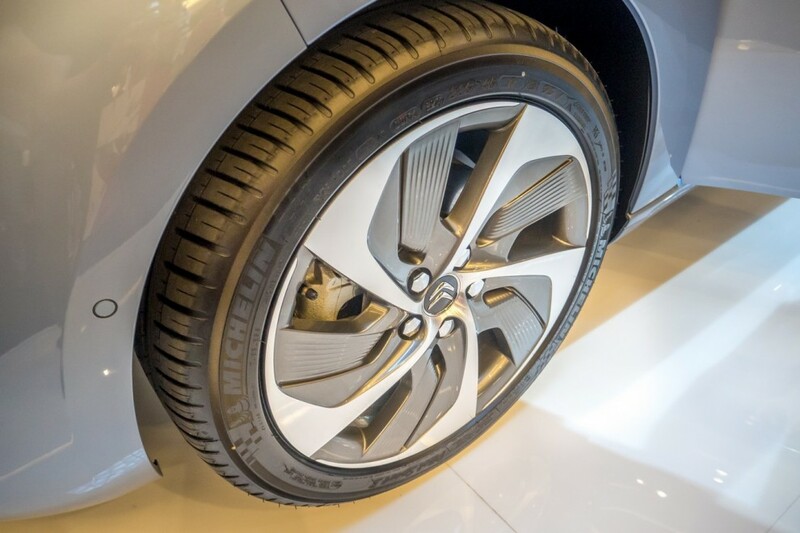 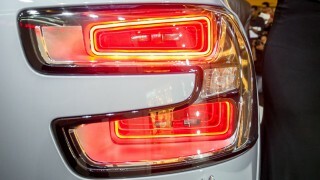 As mentioned before, both the petrol and diesel variants are identical from the outside, right down to the wheels. 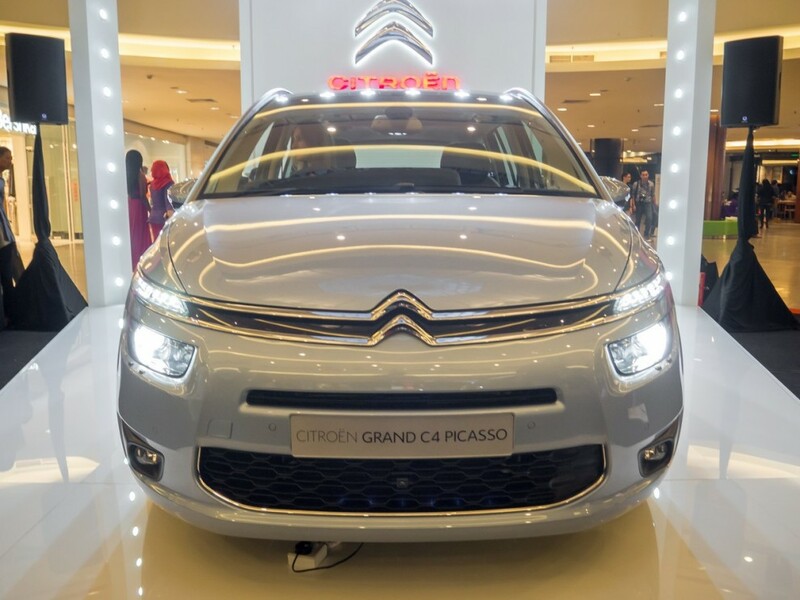 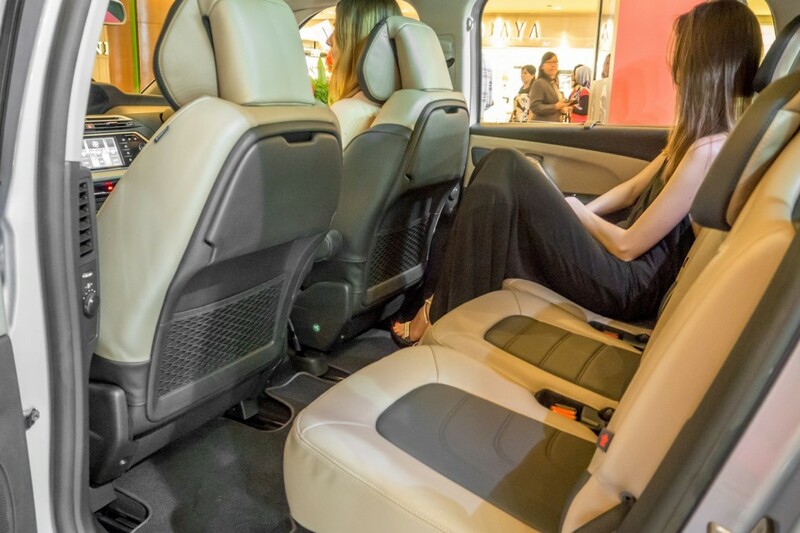 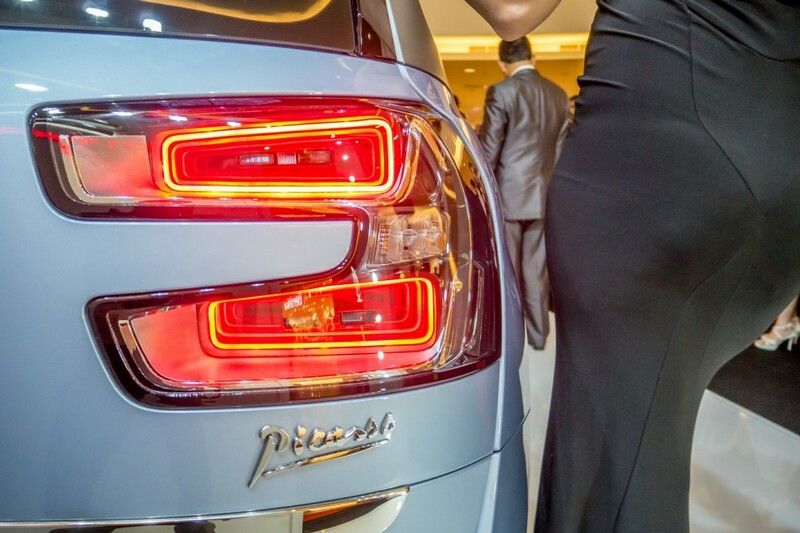 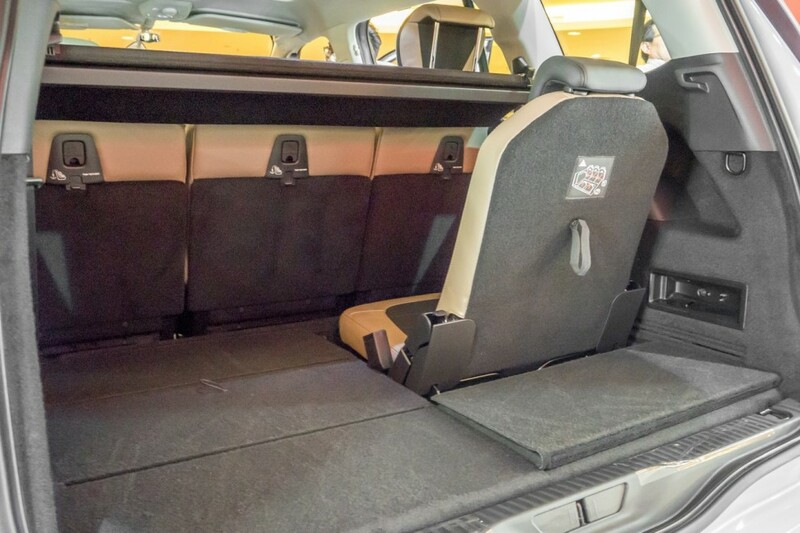 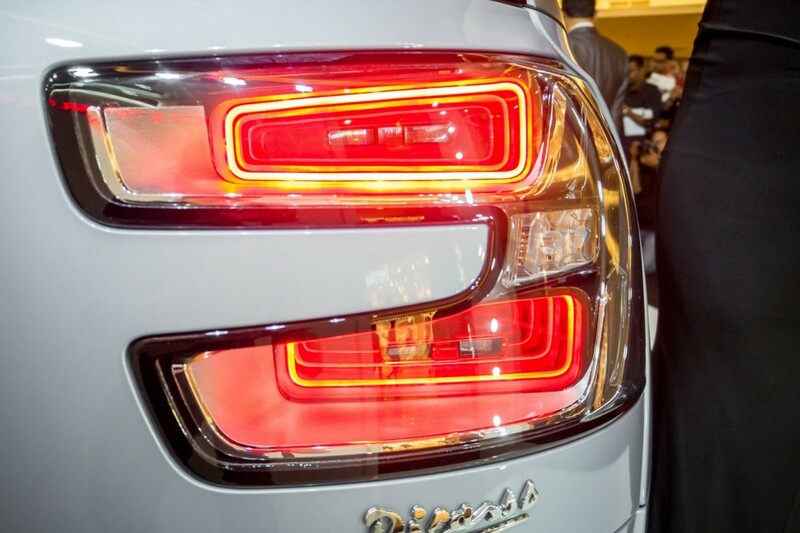 The Grand C4 Picasso boasts having the longest wheelbase in its class, and comes with a class’ first height-adjustable electric tailgate. 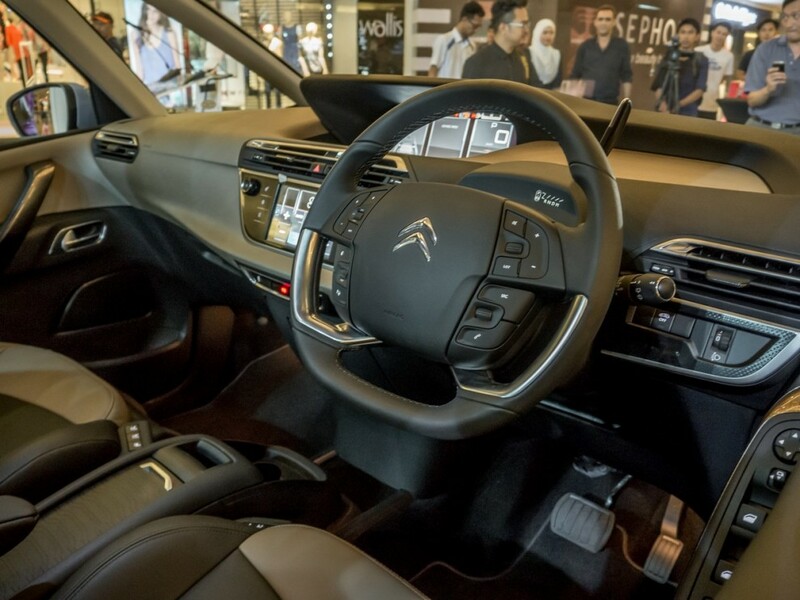 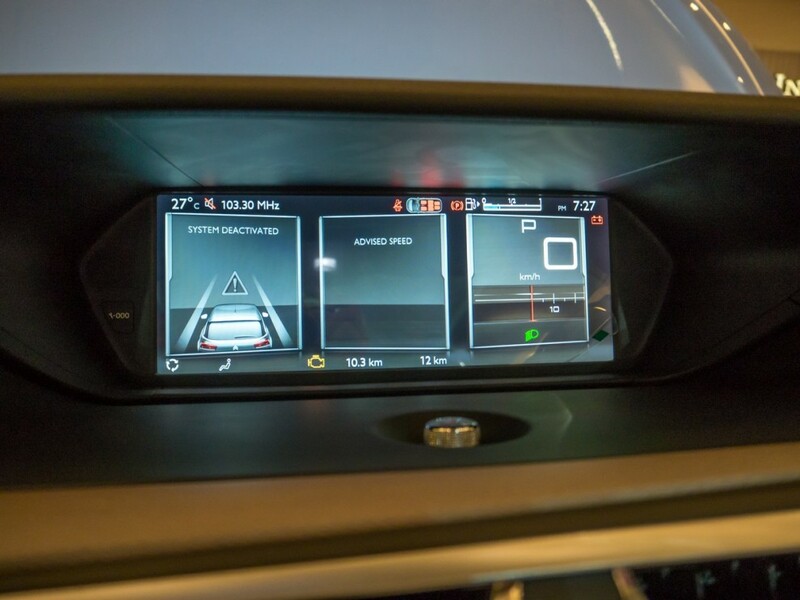 Inside, you get a large 12-inch digital instrument cluster that is customisable and comes pre-installed with GPS navigation. 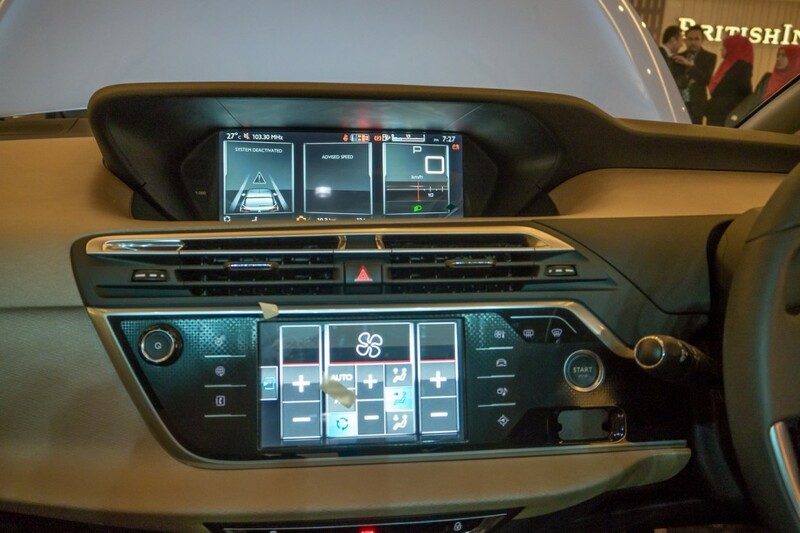 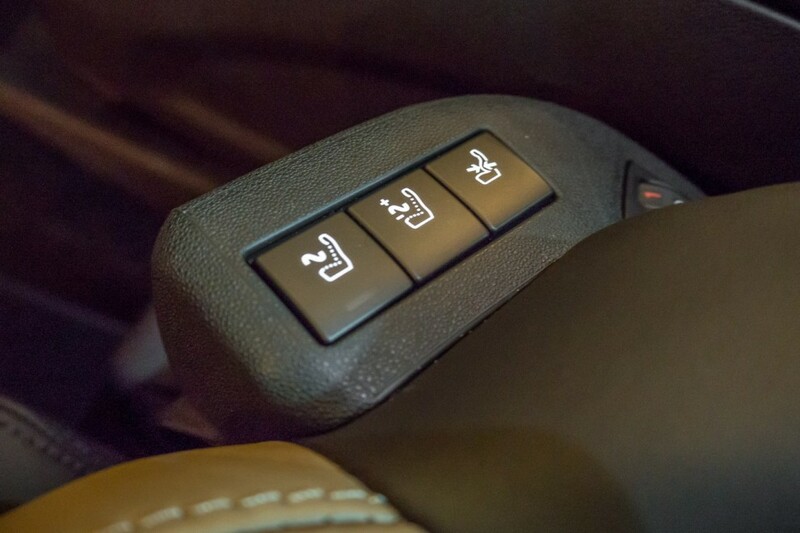 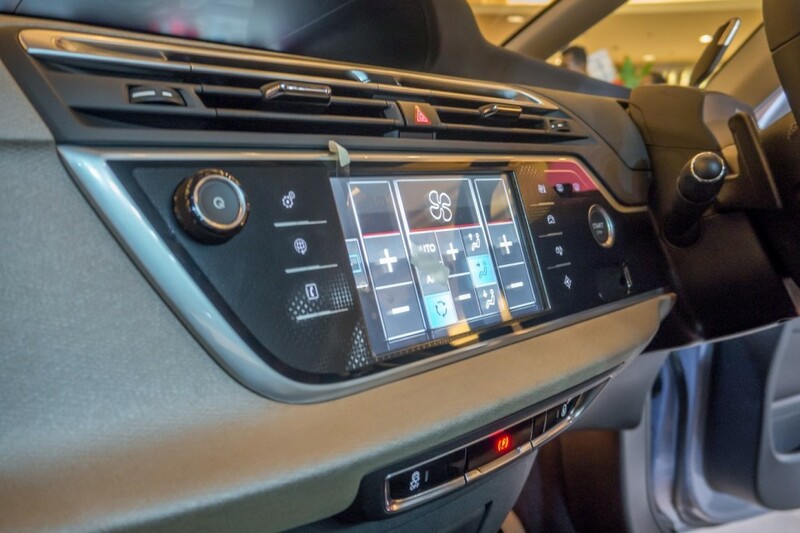 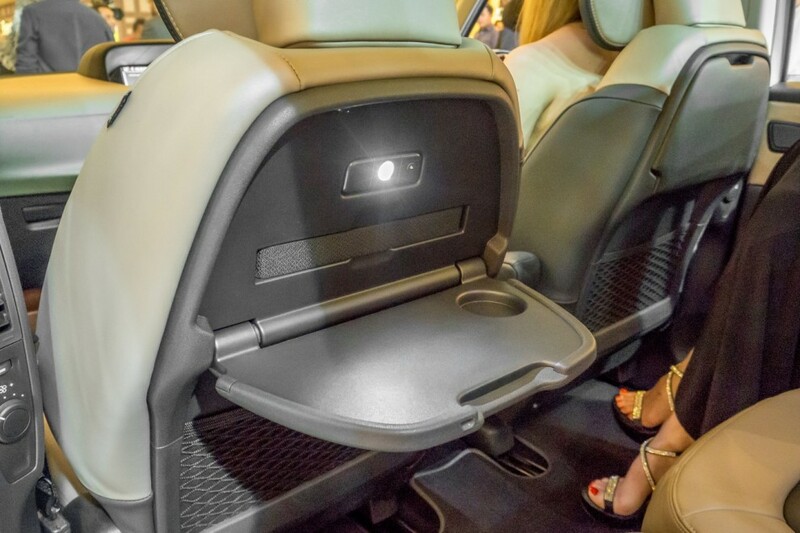 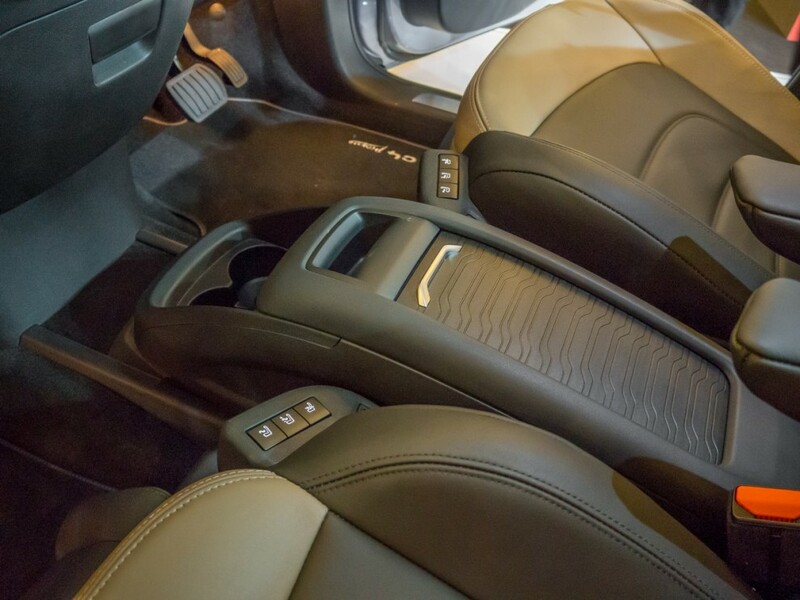 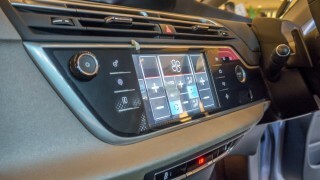 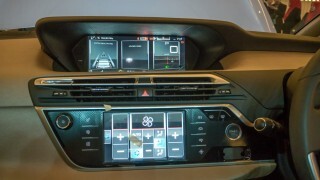 There’s the 7-inch touchscreen head unit for all your multimedia consumption, aircraft-style trays built into both the backs of the front seats and air conditioning vents for the second and third row seats. 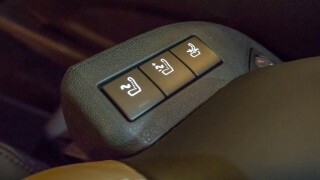 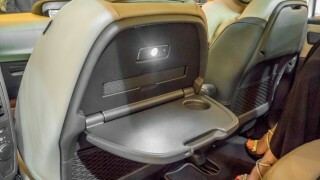 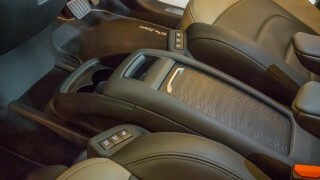 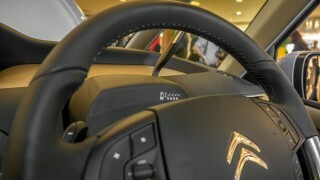 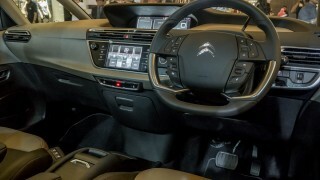 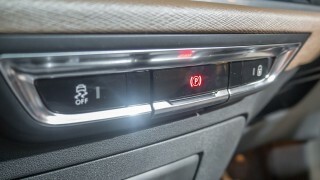 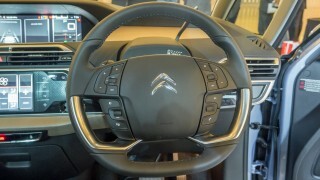 Convenience features are as such: dual-zone auto air conditioning, adjustable second row seats, keyless entry and push-start button, active cruise control with speed limiter and automated braking, electric parking brake, removable centre console for access to the rear seats, park assist with 360 degree camera view, retractable sun visors for the front passengers and adjustable centre armrest. 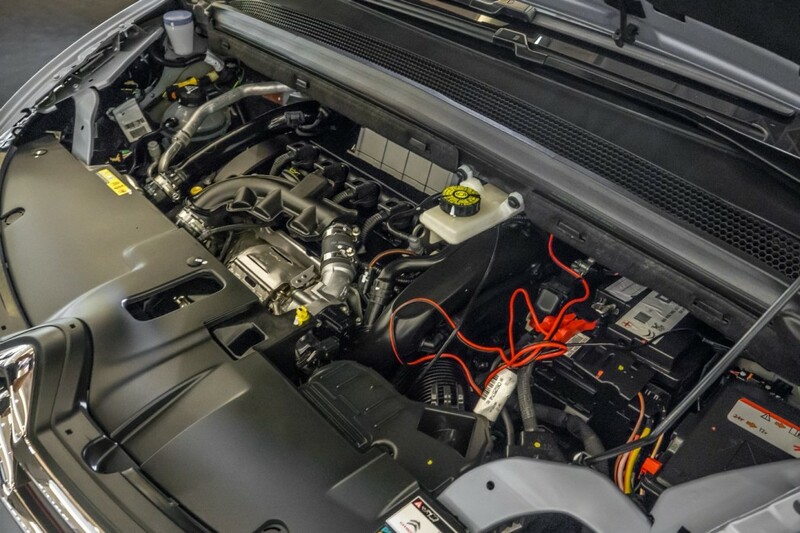 Tasked with moving this family car is PSA’s trusty 1.6-litre Prince engine. 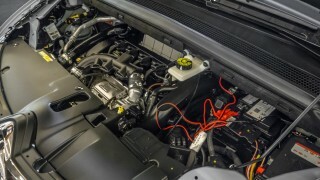 Displacing 1,598cc and paired with a turbocharger (THP), it makes a healthy 163 horsepower at 6,000 rpm and 240 Nm of torque from 1,400 rpm. 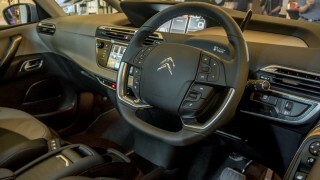 Together with the six-speed automatic gearbox, it sprints from 0 to 100 km/h in 8.7 seconds, and top speed is rated at 201 km/h. 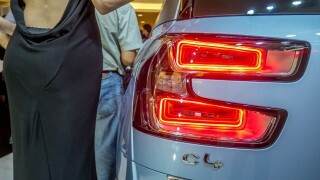 The combined cycle for fuel economy is rated at 5.8 litres per 100km. Safety is one of the key USPs of this MPV. 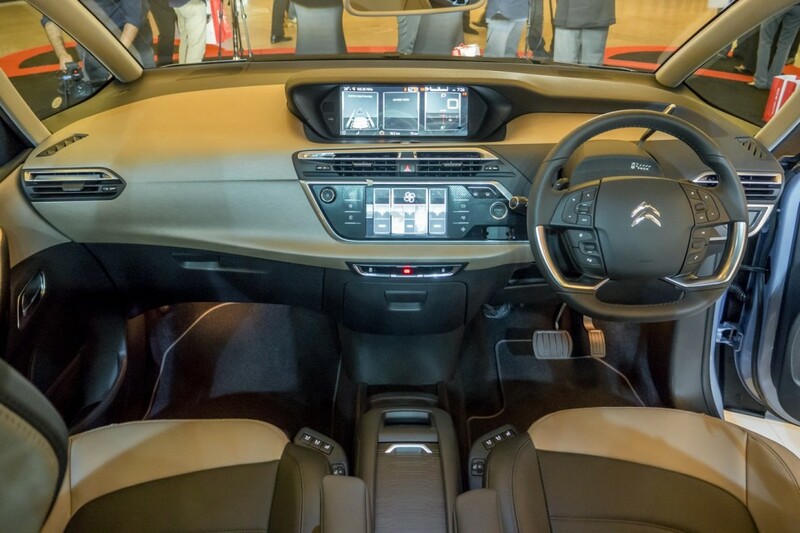 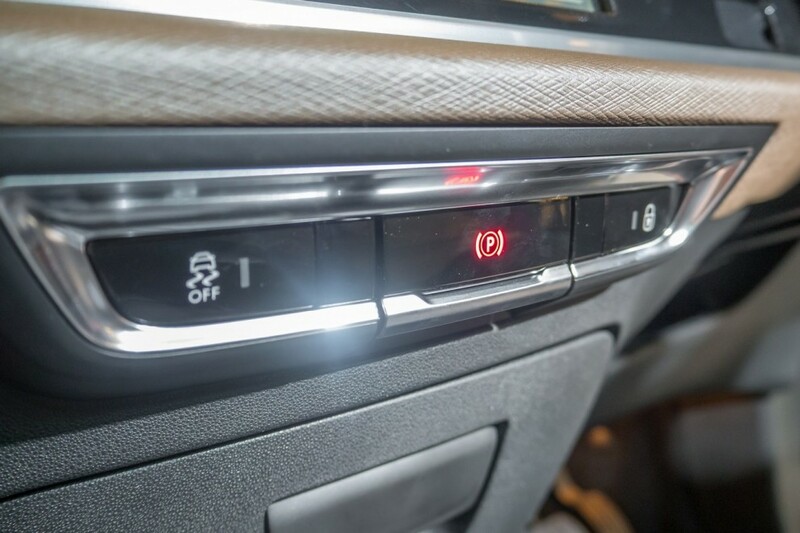 It’s got six airbags, ABS with EBD, Emergency Brake Assist, Hill-start Assist, blind spot monitoring system, child Isofix mounts, front and rear parking sensors with all-round camera view, Lane Departure Warning system and Electronic Stability Programme. 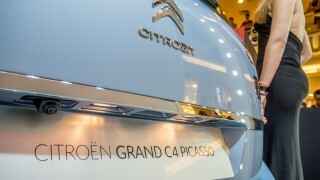 There are four colours to choose from: Blue Teles, Rouge Babylon (red), Blanc Banquise (white) and Noir Onyx (black). 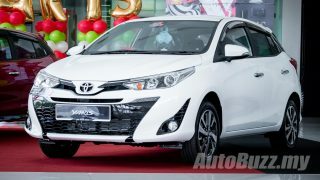 It’s priced at RM179,888 with insurance and GST and comes packaged with a 5-year with unlimited mileage warranty programme, including the distributor’s 24-hour roadside assistance.